Histories tend to emphasize conquest by Anglo-Americans as the driving force behind the development of the American West. In this fresh interpretation, Jay Gitlin argues that the activities of the French are crucial to understanding the phenomenon of westward expansion. The Seven Years War brought an end to the French colonial enterprise in North America, but the French in towns such as New Orleans, St. Louis, and Detroit survived the transition to American rule. French traders from Mid-America such as the Chouteaus and Robidouxs of St. Louis then became agents of change in the West, perfecting a strategy of “middle grounding” by pursuing alliances within Indian and Mexican communities in advance of American settlement and re-investing fur trade profits in land, town sites, banks, and transportation. 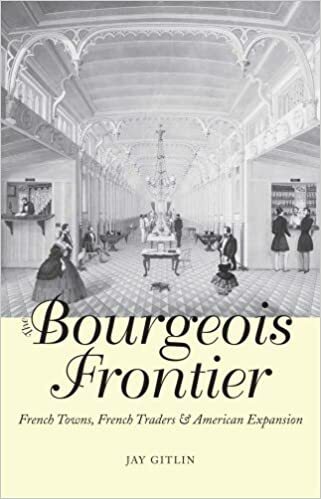 The Bourgeois Frontier provides the missing French connection between the urban Midwest and western expansion.